Ksenia Dudnikova will make her debut at the Royal Opera House – Covent Garden in February of 2017 as the Principessa di Bouillon in Cilea’s Adriana Lecouvreur, opposite Angela Gheorghiu. The leading mezzo-soprano of the Stanislavsky and Nemirovich-Danchenko Opera in Moscow, where she debuted in 2011, Dudnikova has won high praise there in roles including Marfa in Khovanschina, Amneris in Aida, Pauline in The Queen of Spades, Olga in Eugene Onegin and Lyubasha in The Tsar’s Bride. Her performance in Aida, staged by famed director Peter Stein, led to her nomination for Best Leading Female Role in opera at the 2015 Russian National Theatrical “Gold Mask Awards”. She has also appeared with the Stanislavsky Theater on several international tours, which have included visits to the Netherlands and China. 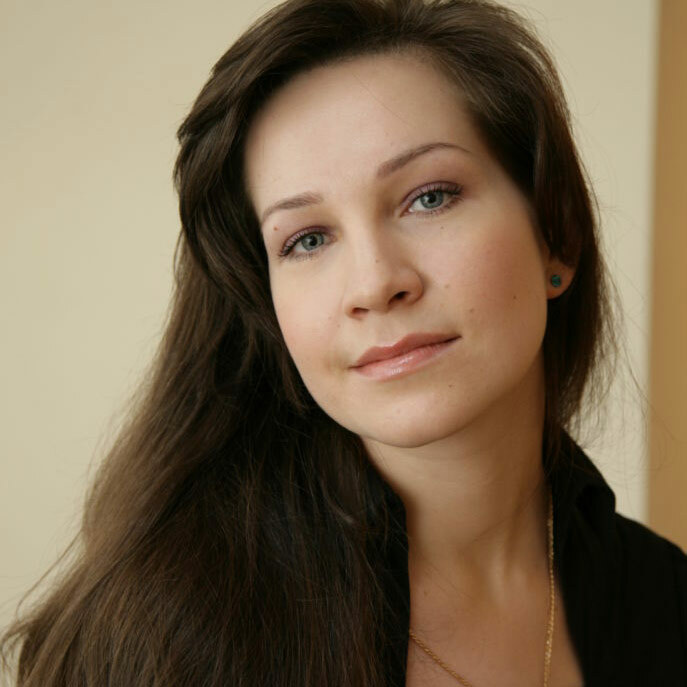 In the winter of 2016, Ksenia Dudnikova made her debut with the Bolshoi Opera in Moscow as Maddalena in Rigoletto, subsequently starring there as Marguerite in Peter Stein’s new production of Berlioz’s Damnation de Faust, under Tughan Sokiev. During the course of the 2015⁄16 season, she also made her debut in the title role of Bizet’s Carmen in Yekaterinburg, later appearing in the same role in Moscow. This season, Dudnikova will make her debut at the Grand Theatre de Geneve as the title role in concert performances of Tchaikovsky’s The Maid of Orleans. She will also star as Amneris with the Theatre Royale de la Monnaie in Brussels. In the summer of 2017, Dudnikova will debut at the Salzburg Festival as Sonyetka in Lady Macbeth of Mtsensk, subsequently making her Zurich Opera debut as Olga in the new production of Eugene Onegin. Born in Andijan, Uzbekistan, Ksenia Dudnikova has resided in Russia since childhood, pursuing her musical and vocal studies at the Moscow State Conservatory under the tutelage of Klara Kadinskaya. Aside from her performances with the Stanislavsky Theater, in 2014 Dudnikova sang the role of Vanya in a concert performance of Glinka’s Ivan Susanin on the stage of the Bolshoi Theater, conducted by Valery Polyansky. She has also appeared as a guest soloist with several orchestras, recently performing Verdi’s Requiem under Andris Poga at the International Festival of Sacred Music in Riga. In May of 2014, she participated in the debut performance of Lennox Berkeley’s Stabat Mater in the Great Hall of the Conservatory, conducted by Gennady Rozhdestvensky, and in September of 2014 she performed as Frosia in a concert performance of Prokofiev’s Semyon Kotko on the stage of the Bolshoi Theater, under Valery Polyansky. Other roles in her developing repertoire include Dalila in Samson et Dalila, Marina in Boris Godunov and Leonor in La Favorite.